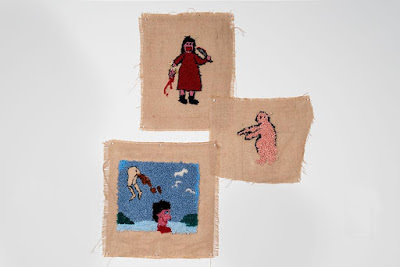 I have hope for the future as things are looking quite sunny and I wanted to shine a light on Canadian Hookers who have pushed the boundaries of rug hooking…they are all brave souls. 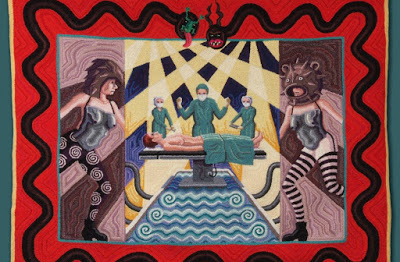 I posted some of Craig’s work in a Rug Hooking group on Facebook a couple of years ago and asked hookers what they thought.It was unanimous….people were not impressed. And, that was what I thought the reaction would be. 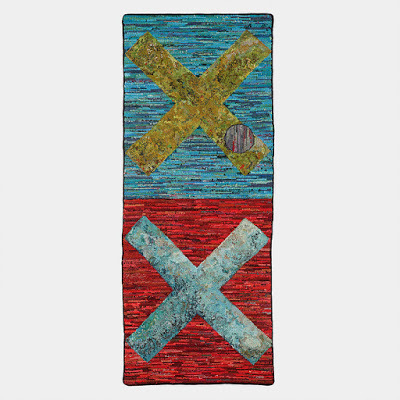 I think there is a tendency to think of rug hookings as something beautiful, something you would place above your couch in the living room…and rug hooking can be that, but it isn’t just that. Jean is a character. I remember seeing her at Rug Hooking School in Truro and she always seemed to be busy chatting away. I met her in person at the Mary E. Black gallery this spring in Halifax…and indeed, she has many a story to tell. Hanna is originally from Nova Scotia and is currently finishing her MFA at Carnegie Mellon University. From Hanna’s website, “I am a fyber-artist and fyber-terrorist working and living in fyber-space.With a BA in Folklore I use folk media technologies to blend video, textile and the interactivity of games into immersive, artistic experiences I call “gamestallations”. 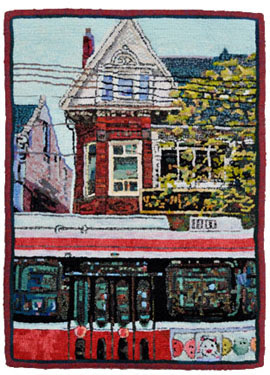 Her work is playful, thoughtful and gives me hope for rug hooking as it is being used by a new generation of artists. This is “Across from the Art Gallery of Ontario” and Trish is able to make you feel you are standing in Toronto watching a street car speed by. It is interesting the way Trish has cut off the rug and only shown us part of the street car…she has a way of capturing the feeling of a place. She not only depicted natural species that were endangered but also structures that defined her area in Manitoba that were disappearing, like our lighthouses. 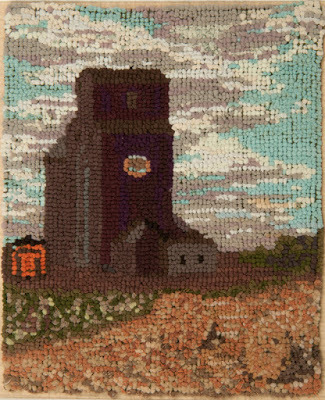 Yvonne’s work was included in “Home Economics: 150 years of Canadian Hooked Rugs”. 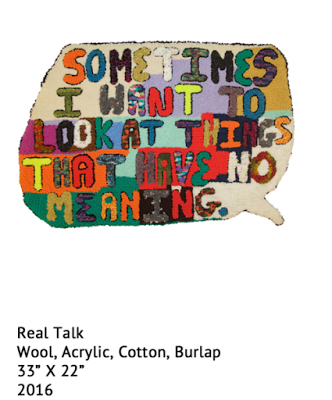 One of the pieces was titled “Use Me” and I thought it interesting as she seems to be saying..I am a rug so put me on the floor..that is my purpose. In fact..the curator had said Yvonne would have liked her rug to be on the floor in the exhibit and had no problems with people walking on it. This idea of utility goes against what I had always hoped for hooked rugs..to be thought of more as paintings on a wall and not something to be walked on. But, one of my knowledgeable painter friends reminded me of murals..they were for the ceilings ..walls…floors. And so sure..ok..rugs can be for the floors. I was trying to stay away from rug hookers I had in my, “10 Rug Hookers to Watch in 2016 ” list but I couldn’t do it…I had to include Michelle. 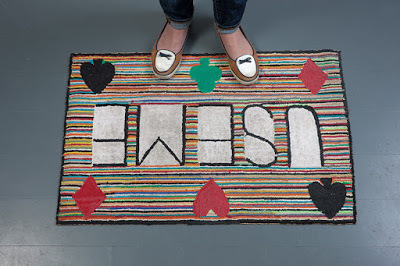 The colours in her rugs are vibrant and the waste hosiery that she uses gives a unique effect. Emily is a Canadian Icon. 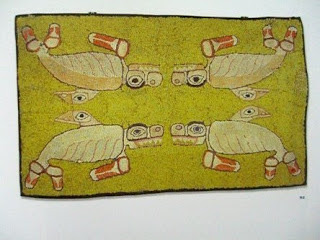 She is known, of course, for her paintings but she also did rug hooking. She was using Indigenous subject material in her work to capture British Columbia and I thought it very brave of her. Canada is going through a reconciliation period with our Indigenous people and it makes me think of the role artists have to play in the process. This is an interesting article in Canadian Art which asks the questions, “Is Indigenous art any art made by an Indigenous person? Or is it somehow art that is the product of particular cultural traditions? Or could it be something like: art about Indigenous issues or ideas? And, by the way, what is an Indigenous person?”. 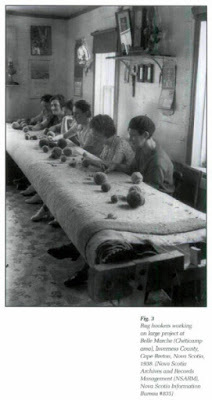 It does make me wonder what these women would have created on their own given a blank piece of burlap.